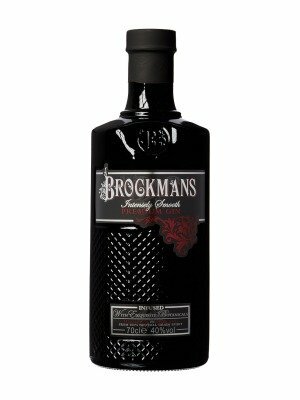 Brockmans Gin is a popular Craft Gin available from DrinkSupermarket.com in 70cl to buy online. Visit DrinkSupermarket.com for the best price for 70cl of Brockmans Gin or compare prices on our other Craft Gin products. Brockmans is a beautifully made, intensely smooth gin to be enjoyed into the night. It is deliciously sumptuous with a daring allure. The flavour notes that make Brockmans so unique are derived from an intriguing and unique bond of flavours. The Bulgarian coriander plays its part, it has an aromatic, almost gingery orange flavour, which marries beautifully with the softer, more rounded harmonies of blueberries and blackberries. This inspired combination, together with the dry, bitter sweet peel of Murcian oranges, prolong the deeper tones and serve to give Brockmans its intensely smooth, beautiful taste. Where to buy Brockmans Gin ? Brockmans Gin Supermarkets & Stockists. You can buy Brockmans Gin online in most retailers and find it in the Craft Gin aisle in supermarkets but we found the best deals online for Brockmans Gin in DrinkSupermarket.com, Amazon.co.uk, 31dover.com, TheDrinkShop, and others. Compare the current price of Brockmans Gin in 70cl size in the table of offers below. Simply click on the button to order Brockmans Gin online now.